By designating three Ramsar Sites in 2013, Burundi demonstrated its commitment to the protection and wise use of wetlands. Burundi’s four Sites cover a total area of 78,000 hectares and are home to a variety of plants and animals, including threatened species such as the IUCN Red-Listed Hippopotamus Hippopotamus amphibius and the Grey Crowned-crane Balearica regulorum. 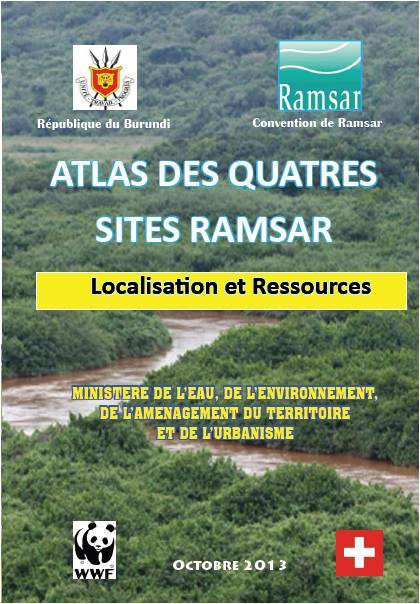 The Ministry of Water, the Environment, Land and Urban Planning of Burundi has published a leaflet detailing the geographic location and resources of the four Ramsar Sites. For more information contact Paul Ouédraogo, Senior Advisor for Africa, at ouedraogo[at]ramsar.org. Read the leaflet (only available in French).